Thanks to your feedback, Swimia has turn into in just numerous months one essentially the most important websites of swimming pools. Here you might have all the info we know about The La Salle Club, in Chicago. 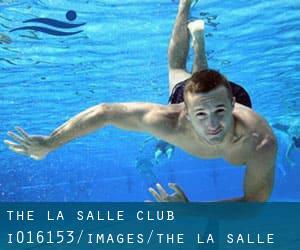 Don't forget you can also promote this pool so The La Salle Club will appear the first of Chicago, or even the very first of your country, contact us to know far more. Swimmers like you reported 20 yards, 4 lanes, Indoors. Unfortunately we do not have the email address of this Swimming Pool, but we can provide you with the phone number. Updated on 2019 3945 N. Springfield , Irving Park , Chicago , IL , USA (Postal Code: 60618). This sports center gives 20 yards x 25 feet, 5 lanes, Indoors. For this Swimming Pool, only phone number is number here. Updated on 2019 4247 W. 31st Street , Chicago , IL , USA (Postal Code: 60623). Among all the activities supplied by the center, in case you are considering swimming you will enjoy 25 yards, 6 lanes, 10 feet maximum depth, Indoor/Outdoor. Just in case you need to get in touch with this Swimming Pool before dropping by, we only know the phone number. Updated on 2019 401 North Wabash , River East , Chicago , IL , USA (Postal Code: 60611). Among all the activities offered by the center, if you are enthusiastic about swimming you will appreciate 25 yards, 3 lanes, Indoors. If you should contact this Pool, email address and phone number are both number. Updated on 2019 13000 S. Carondolet , Chicago , IL , USA (Postal Code: 60633). This sports center gives 25 yards x 42 feet, 6 lanes, Indoors. For this Swimming Pool, only phone number is number here. Updated on 2019 108 East Superior Street at North Michigan Avenue , Chicago , IL , USA (Postal Code: 60611). This sports center offers 25 meters x ~20 feet, 3 marked lanes, 4 feet uniform depth, Non-Chlorine Sanitized, Indoors. For this Swimming Pool, only phone number is number here. Updated on 2019 3517 W. Arthington Street , Chicago , IL , USA (Postal Code: 60624). Among all the activities offered by the center, if you are interested in swimming you may take pleasure in 25 yards, 6 lanes, 10 feet maximum depth, Indoors. Just in case you need to make contact with this Swimming Pool before dropping by, we only know the phone number. Updated on 2019 7500 Pulaski St. , Chicago , IL , USA (Postal Code: 60652). This sports center delivers 25 meters, 6 lanes, Indoors. For this Swimming Pool, only phone number is number here. Updated on 2019 3333 N. Marshfield Ave. , Chicago , IL , USA (Postal Code: 60657). Swimmers like you reported 20 yards x 25 feet, 3 lanes, Indoors. Phone number and e-mail address are number for this Swimming Pool. Updated on 2019 720 S. Michigan Ave. , South Loop , Chicago , IL , USA (Postal Code: 60605). Among all of the activities offered by the center, should you be considering swimming you will get pleasure from 20 yards, 3 lanes, Indoors. Just in case you desire to make contact with this Swimming Pool before dropping by, we only know the phone number. Updated on 2019 3003 West Touhy Avenue , Chicago , IL , USA (Postal Code: 60645). Among all the activities offered by the center, in case you are interested in swimming you can expect to take pleasure in 25 yards, Indoors. Just in case you desire to contact this Swimming Pool before dropping by, we only know the phone number. Updated on 2019 Century Mall , 2828 Clark St. , Chicago , IL , USA (Postal Code: 60657). This sports center delivers 25 meters, Indoors. For this Swimming Pool, only phone number is number here. Updated on 2019 901 W. Roosevelt Rd. , Chicago , IL , USA (Postal Code: 60608). Few days ago a typical user of this center told us they offer Olympic size x 25 yards + 20 yards, 8 lanes, Indoors. Furthermore, they keep in good conditions 25 yards, Indoors. Updated on 2019 4251 W. Irving Park Rd. , Irving Park , Chicago , IL , USA (Postal Code: 60641). Swimmers like you reported 20 yards x 30 feet, 4 lanes, Indoors. Unfortunately we do not have the email address of this Swimming Pool, but we can give you the phone number. Updated on 2019 5610 Lake St. , Chicago , IL , USA (Postal Code: 60644). Swimmers like you reported 20 yards x 25 feet, 4 lanes, Indoors. Unfortunately we do not have the email address of this Swimming Pool, but we can give you the phone number. Updated on 2019 1333 N. Laramie , Chicago , IL , USA (Postal Code: 60651). Swimmers like you reported 20 yards x 30 feet, 5 lanes, Indoors. Unfortunately we do not have the email address of this Swimming Pool, but we can give you the phone number.